We are blessed to have the first chance to make a lasting impression of our Heavenly Father on your preschooler. The curriculum we use is simple and fun: repeating one basic truth about God each month. The lessons are wrapped up into one “bottom line” – a short phrase that is easy to remember and can be reinforced at home. Welcome! We are excited to welcome you and your child to GV preschool. We have priority parking available for guests right outside of our kids building (building E) off of Tammassee Lane. Our greeter team will happily assist you and your family as you get out of the car before escorting you to our kids check-in area. At check-in, you and your child will receive matching security labels. When it’s time to pick-up your child from their small group parents will need to show their matching security label. Located outside of the Worship Center. This special area is designed for mothers with infants to feed and care for their baby in a private environment where they can still hear the service. The room is equipped with gliders, a changing station, and an audio broadcast of the worship service. 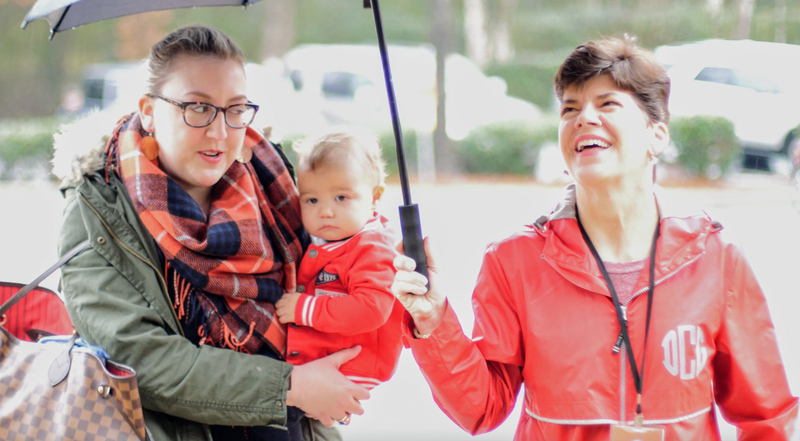 Located outside of the Worship Center, this area is specially designed for families with toddlers and small children who choose not to utilize our nursery services, yet want a private environment to comfortably care for their child during the service. The family room has comfortable seating, a variety of toys and activities including special needs resources, and live streamed broadcast of the worship service. It’s never too early for a child to experience the love of Jesus. Our nursery volunteers are here each Sunday because they truly love babies. The Green Valley nursery provides a safe, clean, and nurturing environment where babies can relax and play. In our toddler classes, we use small windows of playtime as opportunities to teach the children about their loving Heavenly Father. During this time we introduce the bottom line and reinforce the basic truth while engaging in age-appropriate play. Preschoolers engage in both small group and large group times. First, our preschoolers meet with loving small group leaders to connect with during playtime in their age-specific rooms. Then they head to large group in the Treehouse. Preschoolers and leaders come together to worship with singing and dancing, and to learn a Bible story told in a creative way. 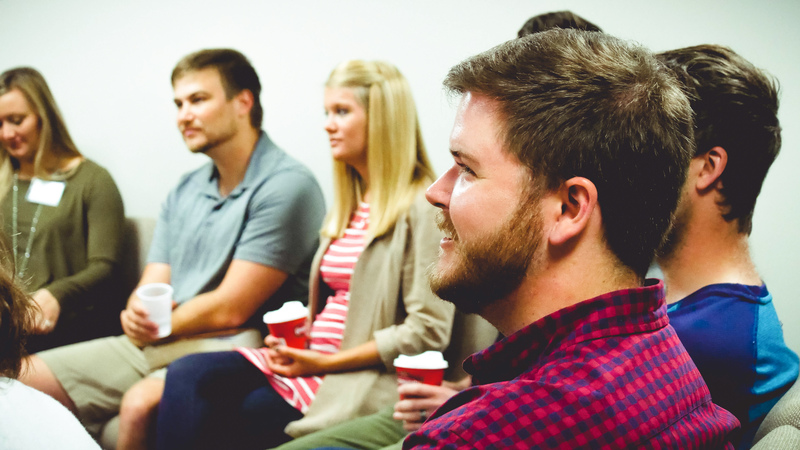 Wednesday nights we provide childcare for adults who wish to attend a Life Group on campus. Our volunteers provide loving care for babies, toddlers, and preschoolers while parents enjoy spending time in their Life Group. Your child will enjoy a time of purposeful play while participating in fun activities that help reinforce that week’s bottom line. Our rooms are open 15 minutes prior to regular scheduled services or on-campus activities that have prior reservations. We ask that a parent or responsible adult always remain on campus while your child is in our care. Our rooms are stocked with everything your child could need during their time with us. However, if you choose to bring items from home: diaper bag, bottle/cup, pacifier, clothing, or blankets– please make sure they are properly labeled. Our check-in team will print out a label for your items. Please encourage your children to leave their personal toys at home. This will help avoid any confusion and will ensure your child’s special “treasures” are safe! What if my child has special requirements for their care? No problem. When you check-in through our system you will be able to note any special needs or allergies your child may have. We also have sign in sheets outside all of our infant and toddler classrooms. We ask that you take a moment and write down any information we might need to know pertaining to your child’s feeding, napping or changing schedule for that visit. What is your healthy child policy? In order to prevent the spread of illness, children should be excluded from childcare setting for any of the following: fever, vomiting, diarrhea, pink eye, conjunctivitis, head lice, strep throat, impetigo, chickenpox, measles, mumps, tuberculosis, whooping cough, or other ailments until deemed noninfectious by your physician. What measures do you take to ensure my child’s safety? Our preschool building remains locked at all times when kids are present and our security team is constantly monitoring the area—both in person and through security cameras. Each staff member and volunteer is required to have a completed a background check on file and receive training on all our policies, guidelines, and safety procedures. What is your diaper change policy? Our birth – 2K class rooms each have a clean diaper changing station. A fresh disposable paper is put down, and precautionary measures are taken to prevent the spread of germs. Staff members always wear fresh latex-free gloves when changing a diaper. Parents should provide diapers for their child. Staff will use church provided wipes unless parents provide a necessary alternative, due to allergies. Each child is checked hourly for wet or soiled diapers. In the event your child is potty training, please let us know at check-in and we will indicate this on your child’s check-in sticker. Please also let the caregiver know so they can help your child be as successful as possible. Make sure you send plenty of extra diapers, pull-ups or changes of clothes in case of accidents. My child is on medication, can you give it to them? Medications cannot be given by our staff. Please do not put any type of medication in your child’s bottle or cup.